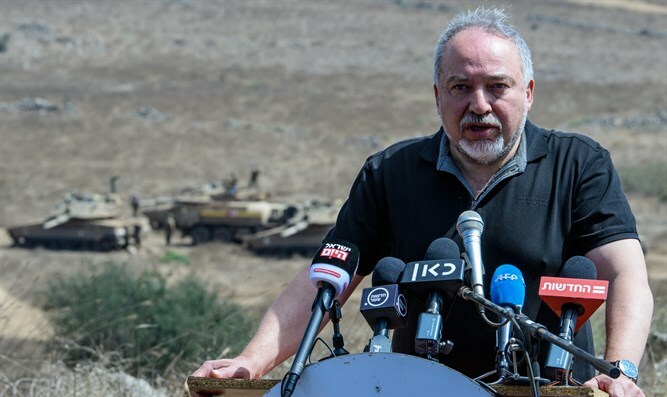 Defense Minister Avigdor Liberman (Yisrael Beiteinu) spoke with members of the Cabinet program on Radio 103fm on the Gaza escalation and arrangement. After yesterday approving opening the Kerem Shalom crossing to transfer goods to Gaza for a few days of quiet, contacts are underway with Hamas for an "arrangement": "We don't know what the arrangement is and what these definitions are; the reality on the ground is relevant and our conduct will be in accordance with it," he said. Echoing the line he has used in past days, he added: "It's true there are many initiatives from the world. But we must say in the most clear way: If there's security calm on the other side, we have a desire to improve the conditions of Gaza's residents, and if there's peace and security the residents of Gaza will be the first to benefit. If there are disturbances, the residents will be first to lose. "The Palestinian Authority has its own interests and considerations. Our interest is to topple the Hamas regime," he said, and enumerated ways to do it. "Either we go in and conquer the Gaza Strip and sacrifice our soldiers or in some other way; the Arab Spring is also an option in Gaza, not only in Tunisia. It's important and necessary to constantly communicate with the public and circumvent Hamas leadership. Every day I receive a survey of Internet discourse and social networks in Gaza. 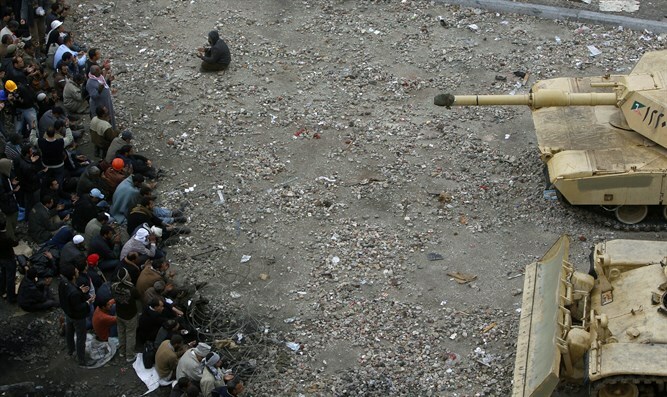 There's never been such low support for Hamas in the Gaza Strip as there is today." According to the Defense Minister, opening the crossings and easing restrictions on Gaza are not Hamas achievements. "Four months later Hamas didn't bring anything to the residents, and the State of Israel is the solution. We won't fool ourselves; it won't happen tomorrow or the next day, but it's the surest way to have an Arab entity on our side." Liberman was asked about cabinet ministers' idea to attack Hamas from the air and took advantage of the opportunity to attack Minister Naftali Bennett: "I know some politicians who are spreading slogans and running out after cabinet meetings; every minister should deal with his own responsibility, because we're not lacking challenges in any area. When you're strong and successful and you act properly, they try to stop you, when you're weak they ignore you. Albert Einstein defined stupidity: We've already done Operations Cast Lead, Defensive Shield, and Protective Edge. It's impossible to repeat the same action and expect a different outcome. The solution is to turn Gaza into an economic entity that provides work for two million people and turn it into the Singapore of the Middle East. It won't happen tomorrow morning, but it's much closer than we think." When asked why he did not bring the Gazans back to work in Israel, he replied, "It's an impossible security risk, bringing 9,000 Gazans into Israel is an unreasonable risk. We work correctly in the Defense Ministry with a clear strategy - we know what we're doing. We passed the five calmest days since March and that's because we wiped out an entire building, liquidated three activists, and wounded dozens, and when they realized they were going to be hit hard, the quiet came."